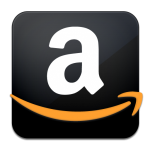 The Corpse King is another of my fantasy short story discoveries from Amazon, so sit back and let me tell you all about it. The main characters here are Apprentice D’Arden Tal and Master Havox Khaine of the Tower of the Arbiters. These manna blade wielding knights . . . err, I mean, Arbiters travel the lands, dealing with the users and abusers of “corrupted” mana wherever they arises. And in this tale of their exploits, a reader finds them far to the southwest of the Old Kingdoms, patiently heading toward a fiefdom where people whisper a demented king rules a land of the undead! Naturally, the narrative that flows from this set up is moody, creepy, and filled with dark, horror-type images, and Mr. Kellen does such an excellent job infusing those elements into the narrative that it helps The Corpse King stand out from typical fantasy fare. But, never fear, this is still, without a doubt, a fantasy tale. For while the creep is front and center, the tidbits of lore, flashes of magic, sword clashes, and history lessons make it clear that this genre blender is a fantasy at its core. For me, the strength of the story (other than the horror elements) is the relationship between D’Arden and Havox. Yes, it is typical master-apprentice interaction, but the bond between the two is easily appreciated: A clear sense of their camaraderie shown by Havox’s reaction to D’Arden’s missteps (both the humorous and the dangerous ones) and D’Arden’s obvious love and respect for his master. And it is that character interaction which drove the tale forward. But not everyone agrees with my assessment of our two heroes. Other reviewers have had a completely different take on Havox, seeing his attitude toward D’Arden as a real negative in the narrative. These people view Havox’s training method as lackadaisical at best and intentionally dangerous at worst, as he seems to withhold information from his apprentice, allowing D’Arden to blunder into danger and appear naive and stupid many times. And I definitely can understand why they could be put off by Havox, viewing his permanent grin and jokes at D’Arden’s expense as a bit too arrogant. However, having had mentors before who used this same method, I saw it more as a the master allowing his student to learn by his own missteps: only intervening when necessary to keep both of them safe. I felt I should mention this difference of opinion, however, so you would be prepared to decide for yourself. The only other weakness of the tale (for those that perceive it as such) could be the similarity of Kellen’s mana knights and those energy blade wielding knights from a sci-fi franchise named Star Wars. And I’ll be the first one to admit that the Arbiters are eerily familiar to the Jedi Order: their powers and mana blades reminding one of the Force and lightsabers as well as D’Arden and Havox’s relationship mirroring that of a Jedi and his padawan. But that doesn’t mean the Arbiters here are merely fantasy duplicates of George Lucas’ pop culture icons. Nope, Mr. Kellen has tweaked them into their own fantasy mold, much as Stephen King took the spaghetti western cowboy and made him his own in the form of Roland Deschain from Dark Tower fame. But should you give it a try, you want to know? Well, if you like to try something a bit different from time to time then you definitely should pick this short story up. The Corpse King might not revolutionize fantasy, but Mr. Kellen has mixed in enough horror with his fantasy to concoct a fine genre blender sure to entertain. At least, that is my opinion. 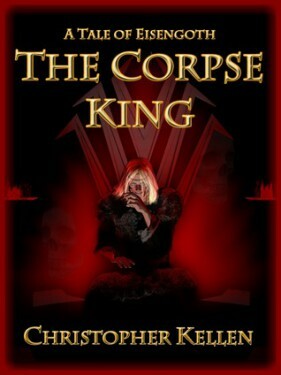 Buy The Corpse King (Tales of Eisengoth Book 1) at Amazon. This entry was posted in 3 Stars, Fantasy, High, Short Stories and tagged Christopher Kellen, Indie authors, indie fantasy, indie fantasy book, indie fantasy books, indie fantasy novels, self-published fantasy, self-published fantasy books, self-published fantasy series, Tales of Eisengoth, The Corpse King. Bookmark the permalink.